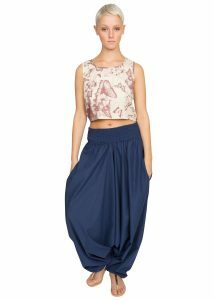 Cropped harem pants with a great shape in light summer denim. Get out into the sun and explore markets or sip your cappuccino at a newly discovered cafe. Summer is here!